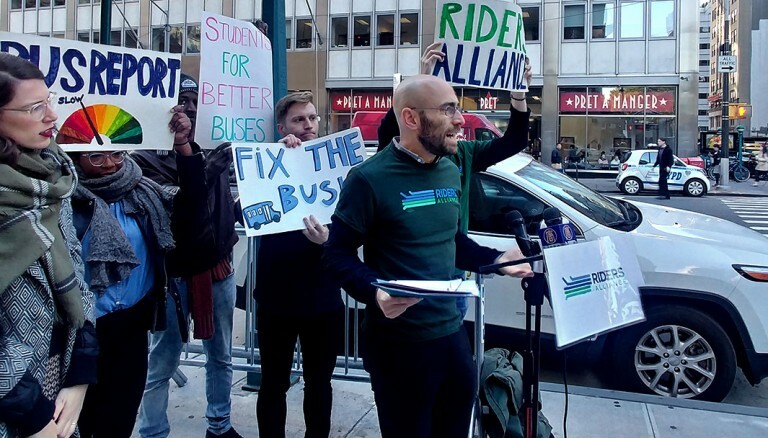 The Riders Alliance touted on Tuesday the study’s findings at an express bus stop at Church Street and Park Place in Manhattan. Riders of most Queens and Brooklyn express bus routes into the Manhattan Central Business District would save one to two hours per week if a certain congestion pricing plan were to be made law by the State Legislature, according to a study released on Tuesday by the straphangers advocacy organization Riders Alliance. In January, Gov. Andrew Cuomo’s Fix NYC Advisory Panel released its highly anticipated report that endorses a congestion pricing plan to relax traffic bottlenecks on Midtown Manhattan streets and help subsidize the Metropolitan Transportation Authority’s overhaul of the city’s antiquated subway system. According to the proposal, all drivers would be charged to enter the Central Business District – an area bounded by 60th Street on the north and Battery Park on the south, the Hudson River on the west and the East River on the east – during weekday business hours. Car drivers would be charged $11.52; trucks, $25.34; cabs and app-based for-hire vehicles, $2 to $5 per ride. 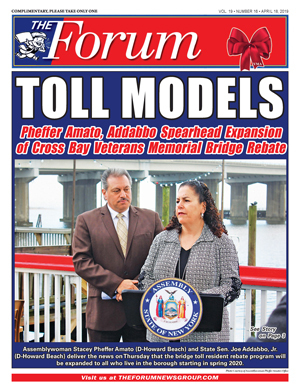 The revenue generated by such a tolling initiative would most likely exceed $1 billion annually, Fix NYC noted. According to the Riders Alliance route-by-route analysis, the plan would aid transit riders in the far corners of Queens and Brooklyn, sections of the city deemed “transit deserts” that the subway system does not reach. Many express bus riders commute more than 90 minutes each way to work, spending upwards of 15 hours each week in transit while paying $6.50 per trip, the Riders Alliance found. Yet if Fix NYC’s plan moves forward the same commuters would gain an hour or two back each working week of the year. The Fix NYC panel used the Balanced Transportation Analyzer tool to devise its congestion pricing model. The BTA found that, once in effect, congestion pricing would increase traffic speeds by 20 percent within the Central Business District and by 7 percent on approaches to it. Those percentages, in turn, dictate the Riders Alliance’s time-savings predictions for Queens and Brooklyn express bus routes. “An extra hour or two hour per week gained from congestion pricing would mean real time for real people to take care of themselves and their families. With so much talk about fairness, congestion pricing returns a truly priceless resource to folks who can spare precious little of it,” Riders Alliance Policy and Communications Director Danny Pearlstein said. 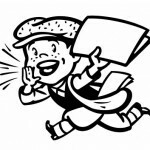 For more information on the congestion pricing express bus analysis, visit medium.com/@RidersNY.